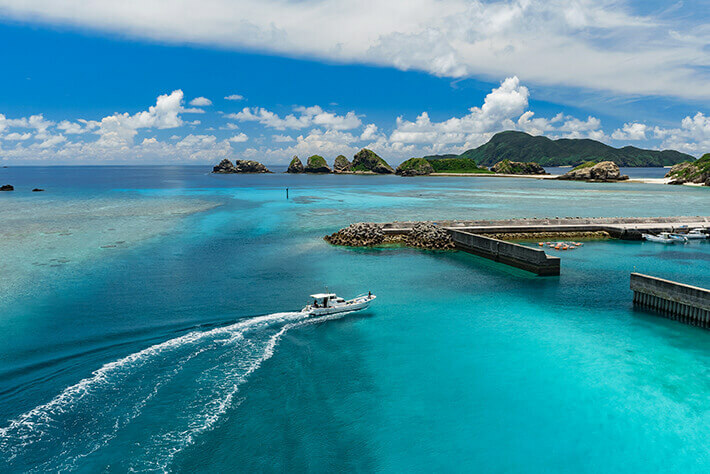 Approximately 50 minutes by high speed boat from Tomari Port in Naha on the main island of Okinawa, Aka Island is one of the Kerama Islands, which have been designated as a national park. 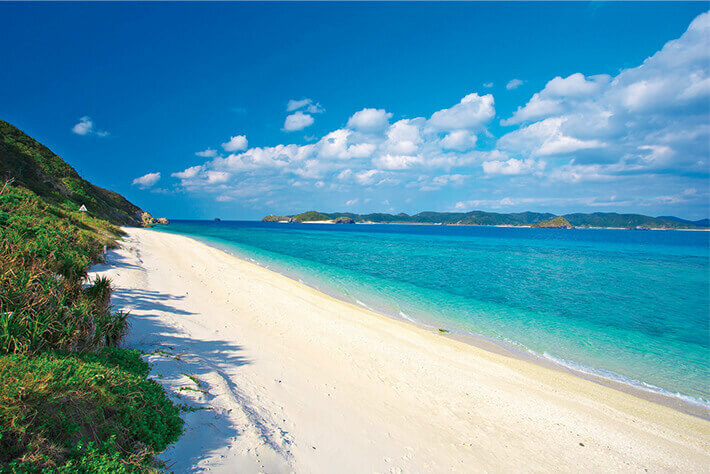 The sea known as Kerama Blue, whether looking out or diving in, is beautiful enough to take your breath away, leaving a lasting impression on all visitors. Not only known for marine leisure, you can also enjoy a stroll through the village and observation deck. From frequent divers to snorkelers, whether traveling with family or alone, you can enjoy the island and build lasting memories. The island has a circumference of approximately 12 kilometers, so rental bicycles are convenient for frequenting the beaches and various shops. 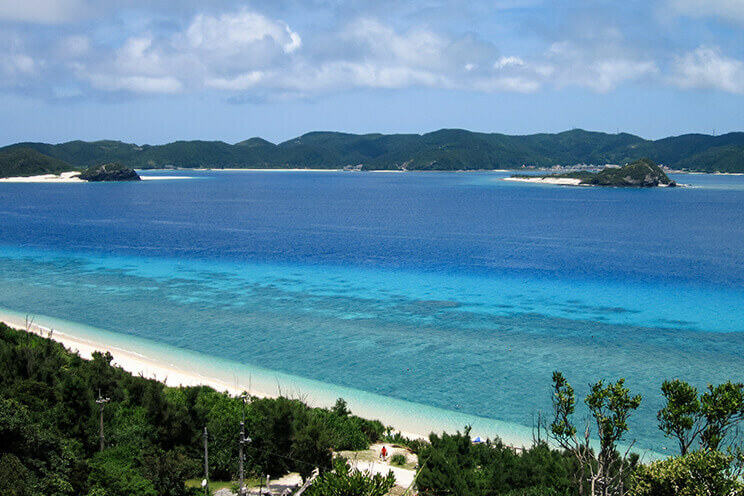 As they are connected to Aka Island by bridge, it is recommended to also explore Geruma Island and Fukaji Island. Enjoy the View from Aka Bridge and Be Impressed by the Kerama Blue! When approaching Aka Island by boat, you can’t help but notice a large bridge. This is Aka Bridge, which connects Aka Island to Geruma Island. 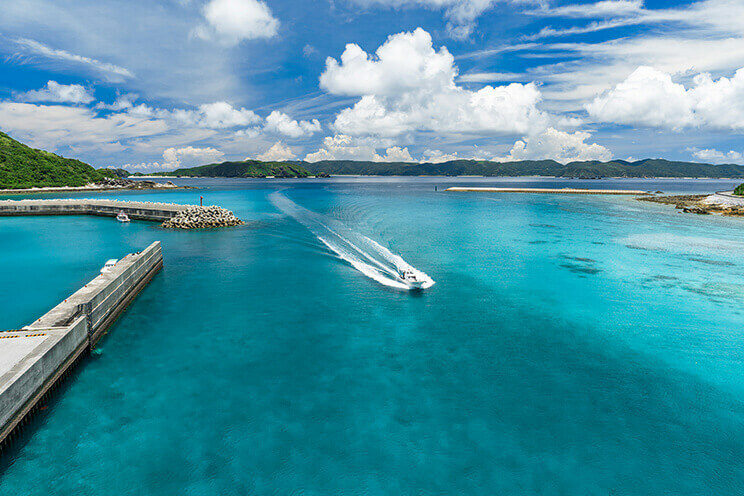 When gazing upon the vast ocean from above the bridge, you can enjoy the beautiful ocean color known as Kerama Blue. It is a location where you can grasp the stunningly high transparency of the Aka Island sea. If you take your time and examine the sea below, you might witness a sea turtle swimming about. When you visit Aka Island, it is a spot that you cannot afford to miss. When viewing the sea from above compared to close up, the perception of the landscape changes drastically. 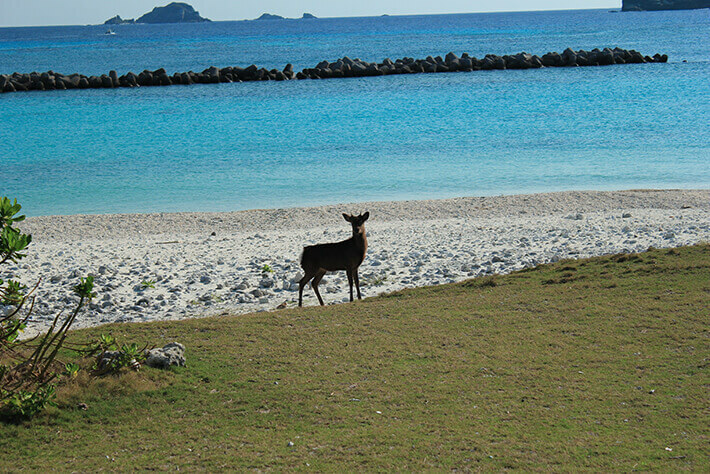 Along the northern coast of Aka Island, approximately 10 minutes by bicycle from the harbor, lies Nishibama Beach, a natural beach that extends for approximately 1 kilometer. As a snorkeling spot where you can view colorful coral and tropical fish, it is a popular beach with complete shower and toilet facilities. With the uninhabited Agenashiku, Gahi, and Amuro Islands spreading before you, the landscape is absolutely breathtaking. Be sure not to miss the magnificent view from the Nishibama Observation Deck near the beach! 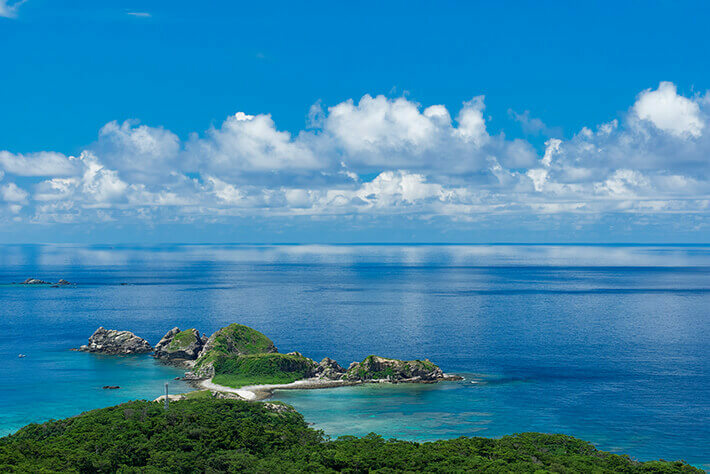 The endless, clear blue water, studded with more than thirty large and small islands, create the scenic view of the archipelago. There, coral reefs spreading underwater boast unrivalled beauty rarely seen across the globe. 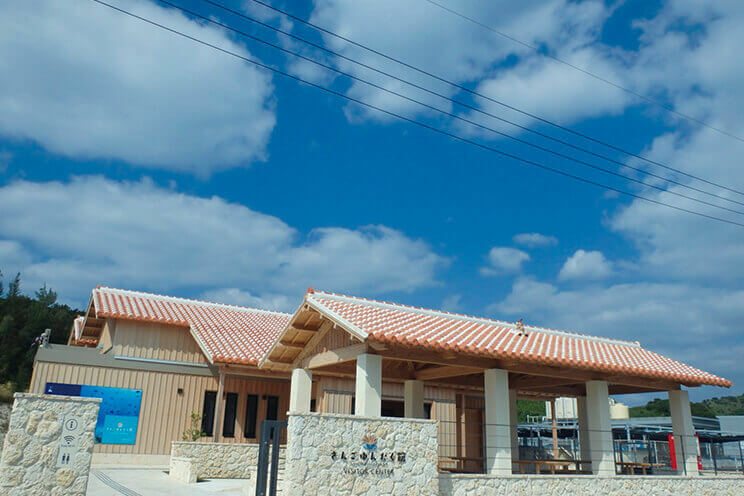 At “Sango Yuntaku Kan Visitor Center” in Akajima Island, you can learn about the ecology of corals and their charms.